Win yourself a Christmas present, 8 adorable patterns of your choice! Winner takes all! 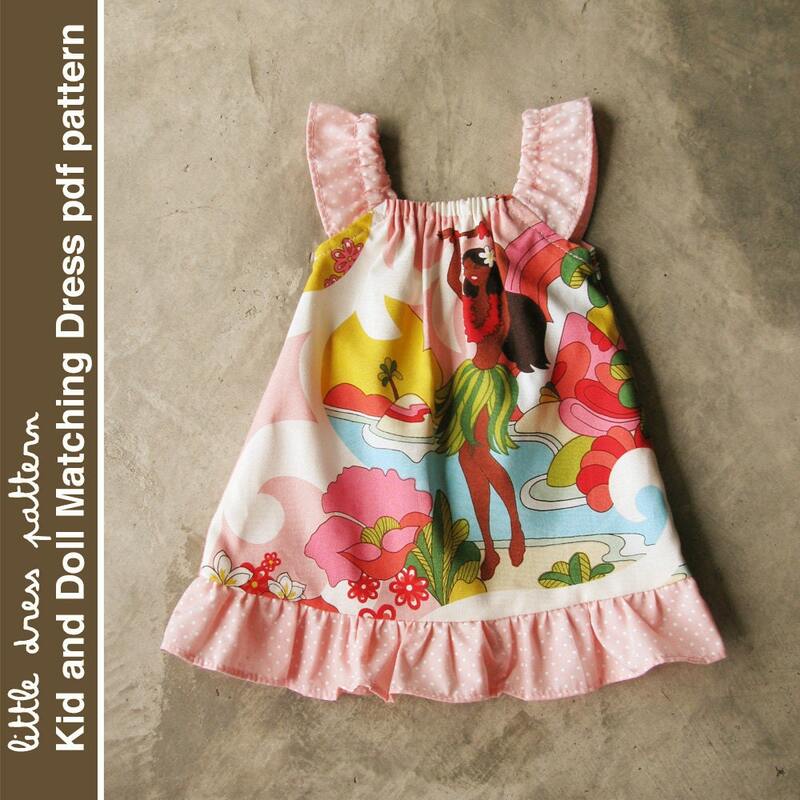 3 patterns from Little Dress Pattern! Little Dress Pattern is an etsy shop full of darling patterns that you can make for your daughter and her favorite doll. Check out the Lauren dress and the Anya Dress! 5 Patterns from Ruby Jean’s Closet! Ruby Jean’s Closet is full of adorable, ruffly and frilly patterns. You’ll get to choose your FIVE favorites! Below are the Matilda Girl’s Peasant Dress and the Peggy Sue Ruffle Dress. 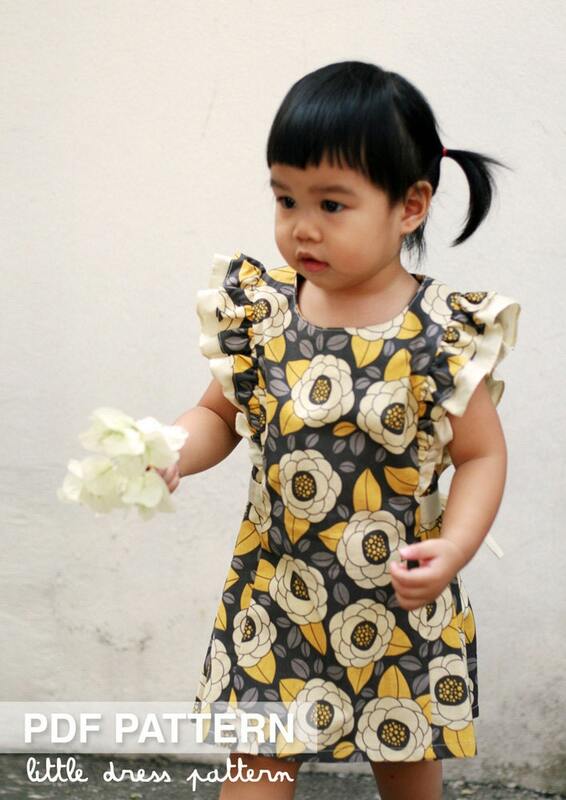 I am in love with the Maddie Girls Ruffled Dress from RubyJeans and the Anya Dress from over at LittleDress. Thanks for the giveaway! Great prizes from both pattern makers! Merry Christmas! I love sewing. Thank you for the chance to win! I’ve had my eye on the Uptown girl pattern for a while now! love the suzy q and harley patterns! I’ve had my eye on uptown girl for a while now! I like the Lauren dress and the peasant dress. Great prizes Kate. I still dont know if this little one will come out with a bow in her hair or a tie on his neck but these patterns are adorable!I love the lauren dress, even the stella from little dress pattern, and the Gwendolyn is so darling from Ruby jeans closet! I love the Lexi skirt and the Harley dress. Oh cute! thanks for such inspiration! I like the Harley and Peggy Sue. I like Stella from little dress pattern and the pesant top from Ruby Jean. Thanks! I like the Stella from Little Dress and peasant top from Ruby Jean! I love Stella at the Little Dress, and Good Dog-car coat at Ruby Jeans! I love Maddie Girls Ruffled Dress from RubyJeans and the Anya Dress from LittleDress. Cute dresses, love the ruffles. 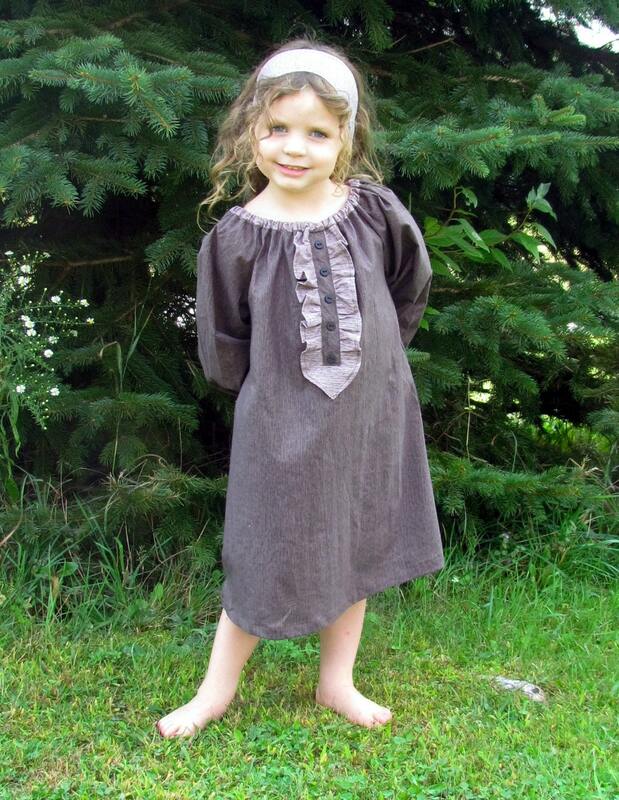 I love Ruby Jean’s Aubrey dress and Little Dress Pattern’s Stella dress! These are all just gorgeous. Thanks so much! 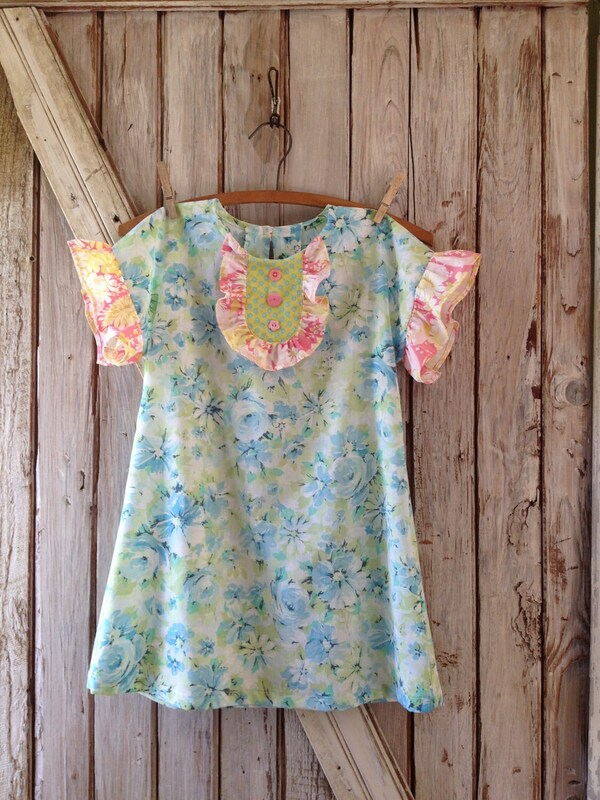 I’m almost done sewing Christmas gifts…would love to win and start on the Maddie Dress for my girls! Que cosa mas linda!!! que ganitas dan de llegar a casa y ponerse a coser y coser!! so, so, so would love to win the patterns! From Ruby Jeans I have loved the Sunny Flower Pillowcase Dress since first seeing it. Now I see she’s also got a Sunny Flower Romper too and that’s just adorable; perfect for a little girl. The Good Dog Car Coat is another favorite as well as the Barclay Kitschy Apron. I love that apron. From Little Dress ~ I love the Lauren, Stella, Morgan and Anya. All are just too cute. Thank you and both sponsors for the wonderful giveaway. Love the Gwendolyn cap from Ruby Jean and the Harley dress from Little Dress! I like the harley dress and sara dress from the little dress pattern shop; maddie and garden party dress from the Ruby Jean shop. They were so adorable! I like Harley Dress and Sara Dress from the little dress shop; Maddie and Garden Party Dress from the Ruby Jeans Shop. They are all adorable! The Good Dog Car Coat from RubyJeansCloset. And Payton Reversible Kid and Doll Matching Dress from littledresspattern. Oh, man. So many cute girly things to sew! I like the Morgan dress and the Sunny Flower Pillowcase dress! I love the harley and brandy dresses from little dress pattern and the maddie dress from ruby jean’s closet! Love the Suzie Q at Ruby Jean. And the Harley at Little Dress. LOVE the Annie and Uptown Girl from Ruby Jean’s Closet!!! LOVE the Sara, Harley and Lauren patterns from Little Dress Pattern! Oooh, ruffles! The Matilda Girl’s Peasant Dress is fabulous. Woo woo! So perfect to start sewing for my new little girl! Love!! Such cute dresses. The Aubrey bow dress is adorable. Love the Aubrey bow dress, but all are so cute. The Harley pattern is really cute! I love the Anya dress — such a cute take on a pillowcase dress! great giveaway! love the patterns! There are so many to choose from, but I love the Gwendolyn cape pattern and the barclay apron pattern. Can never have too many patterns!